Prefer to listen? Click here to hear the YoWorld Update: Account Security! Do not share your Facebook password, or enter it on a site that isn't Facebook. A real Viking will NEVER ask you to remove your Lock Code or YoPass. Do not send anyone the contents of your browser's "View Source" page. Ever. Report phishing attempts to Facebook - more information here. The YoWorld team cares about keeping you Safe and Secure. You are your own best defense against these kinds of actions, and we're here to help you strengthen that defense! This megathread is your one-stop-shop for all things concerning keeping your YoWorld account secure! We’ll deal with ‘hacking’, social engineering and phishing, as well as ways that you can keep yourself safe from unwanted intrusions. Strap in, it’s going to be an informative ride! The biggest misconception right now is that your account can be 'hacked'. The term itself implies that there are programs being used to steal your information from our servers. Big Viking Games has added multiple layers of security to YoWorld, and as a result this has never happened under BVG's watch. We're committed to making sure it never will. So how do these intruders get your information? The most common way that your account can be compromised is by way of Social Engineering. Phishing, the most common form of Social Engineering, refers to getting other people to give out their personal information, usually without their knowledge. In YoWorld, this usually means your Facebook login and password. A real Viking will NEVER ask for your password. 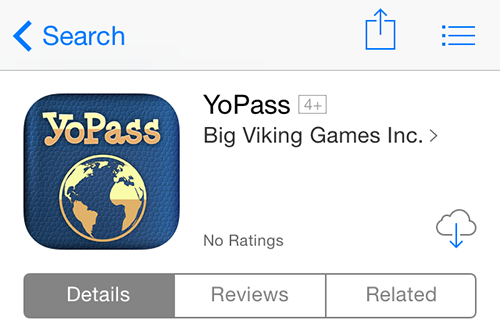 A real Viking will NEVER ask you to remove your lock code or YoPass. Additionally: do not send anyone the contents of your browser's "View Source" page. Ever. This applies to any account, anywhere - not just YoWorld! The good news is that we’ve created various security features to help you out! Check out the posts below for more information on how these features can keep you safe, as well as some neat tips on online security! 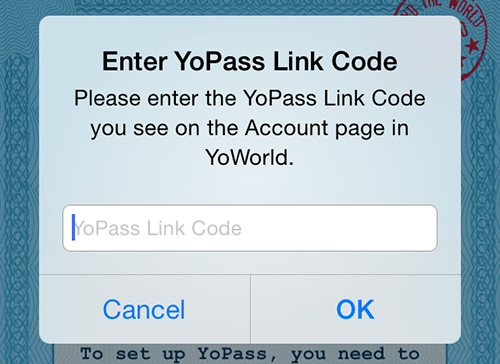 YoPass is an authenticator app for YoWorld. It allows you to set up an additional layer of security for your YoWorld account, so even if your Facebook account was compromised, an intruder cannot gain access to your game. You can disable the extra security at any time. 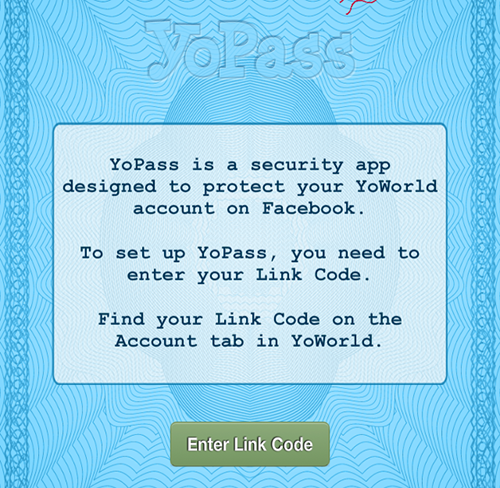 The app generates a new security code every 30 seconds, and whenever you try to play YoWorld you must enter the current code that is only found within your version of the app. For your convenience, we will automatically save your current internet browser so that you don't need to enter your security code again for 7 days, but if you play from a different computer or internet browser (like an attacker would), or clear your settings, it needs to be re-entered. - Works on iPhone, iPod Touch, iPad and compatible Android devices. - Simple interface, very easy to use! - The only trusted way to keep your YoWorld account safe. Click the Settings above the game. Scroll down to YoPass and click "Enable". Enter the link code from back in step 3. Enter your security code from the app into the box on the Settings > Account Settings tab. You are now protected by YoPass. Every 7 days or every time your browser information changes, you will be asked to enter your security code from your phone/tablet. Reminder: If you are selling or formatting your phone/tablet, make sure you disable YoPass on the Settings > Account Settings tab FIRST, or you will have to contact us to remove it. In order for our support team to remove the extra security from your account, we will need to verify who you are, and it can take a little time. Can I use YoPass on Blackberry or other similar devices. It's iOS and Android only for the moment. You will need to contact our team and go through a stringent security check to get a new code. Can I turn YoPass off? Yes, at any time, as long as you still have access to the YoPass app. It keeps asking me for my code?! 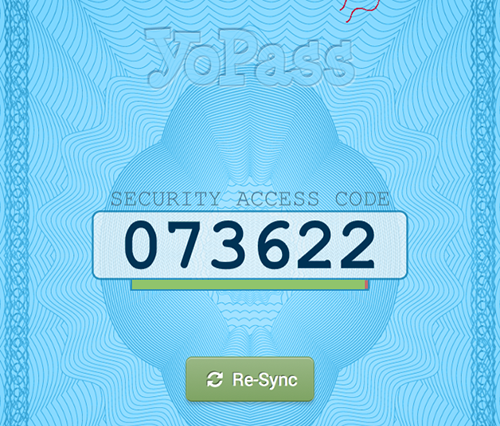 We’ve never seen a report of someone having their account compromised while using YoPass. However, we understand that some players can find it a bit cumbersome and complicated, so not everyone is using it. 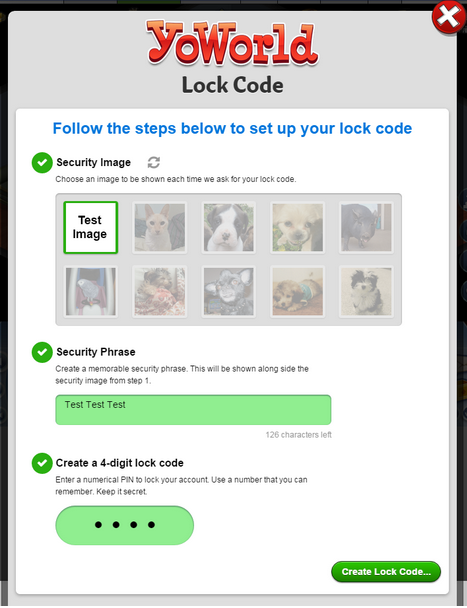 Recently, we've introduced a brand new security feature; Lock Codes! Lock Codes are designed to keep you even more safe and secure, which is our #1 YoValue! We’re glad you asked! Lock Codes are an optional 4-digit PIN (like your bank PIN) you can use to prevent any items being traded from your account to another player without your authorization. Lock Codes lock out the Auction House, trading, gifting and purchasing Coins/YoCash until your PIN is entered correctly. For additional security, when you setup your Lock Code, you must also select a Security Image and enter a Security Phrase. This image and phrase will show up whenever you are asked for your Lock Code. You should never enter your Lock Code unless you see your Security Image and Security Phrase, and never share the picture and phrase with anyone either! In an ideal world, players would never share their passwords with anyone (directly or indirectly). However, we unfortunately do not live in an ideal world. We’ve seen a rise in the number of players reporting that they’ve had their items taken. What normally happens is a victim will enter their email and password into a site promising free items, or they’ll share their account with someone they trusted, or someone will send them a suspicious file, and then because the victim is not using YoPass, their items disappear. Therefore, we created Lock Codes as a simple, easy to use method to help players protect themselves. How do I use Lock Codes? Click on the Settings button above the game. Confirm you’re happy with the image and security phrase you selected, and re-enter your Lock Code to finalize the setup process. Now, whenever you use the Auction House, trade with another player, gift another player an item, or try to Purchase Coins/YoCash, you will be prompted for your Lock Code. You must then successfully enter your Lock Code or you will not be able to complete the trade/gift/swap/sale..
What are the Lock Code security settings? When you set up your Lock Code, you will see that you are by default set to a Medium Security setting. We offer different security settings depending on how secure you want to be and how inconvenienced you’re willing to be to have that security. Low Security: We’ll ask you for your Lock Code once per week, or if you change your device, similar to YoPass. If you use a new browser/new computer or clear your cookies, you’ll need to enter your Lock Code again whenever you use the Auction House, trade, gift or purchase YoCoins/YoCash. We recommend that Low Security is only used by players who do not share computers/devices with other people. Medium Security: The default setting. We’ll ask you for your Lock Code once per session. The first time you use the Auction House, trade, gift or purchase YoCoins/YoCash will require you to enter your Lock Code, but for the rest of that game load, you won’t need to enter it again. If you refresh your game, you’ll need re-enter it. High Security: We’ll ask you for your Lock Code every single time you use the Auction House, trade, gift or purchase YoCoins/YoCash. What happens if I forget my Lock Code? If you forget your Lock Code, you can reset it by clicking the “Reset Lock Code” link on the Account Settings menu. This will send an email to your registered email address, which you click on to receive a new Lock Code. If you no longer have access to your registered email address, you must contact our support team using the Help tab and provide valid identification that matches your Facebook name before we can remove your Lock Code. Can I change my Lock Code/Security Image/Security Phrase? Yes, simply remove it by clicking the Remove button on the Account Settings menu, enter your existing Lock Code, and then go through the setup process again. Our #1 YoValue is Safe and Secure. We do everything we can to keep players our players safe and their accounts secure, but we can’t stop anyone from giving out the keys to their accounts. Players have a part to play in keeping accounts secure as well, so here are some more tips to keep yourself safe! Notice the Padlock next to the “HTTPS”. This means that the website is verified and secured. This is the type of website you’ll want to avoid. Notice how there’s no Padlock, and the website address itself is greyed out. This will probably redirect you to a fake Facebook login page, or some other way of stealing your information. KraZe (175801908) wrote: Also be wary of them "Telling you to fix the link for a more "Legitimate" URL" Which is false. I took this screenshot from a conversation I got from a "Friend". If you click one of these links, sometimes they will take you to websites that promise free YoWorld items, YoCash, and/or YoCoins. In return, all you have to do is fill out a form with your personal information. Don’t fall for it! While these sites are usually pretending to be promotions run by Big Viking Games, in reality they’re created by people with the sole intention of illegitimately gaining access to Facebook and YoWorld accounts. Does it ask for your password? This is the biggest thing to watch out for. A Viking will never ask for your account credentials. Period. Giving out your password is an invitation into your account - keep it secret and safe! If we as Vikings decide to run a promotion, it will be posted here on the forums, on the YoWorld Facebook Fanpage, in the game (through News posts or pop-ups), or any combination of these official avenues of communication. Anything that uses other Facebook pages, message boxes, whiteboards, or other ways to draw your attention is likely a scam, and you should stay away! Where is the page hosted? Weebly, Wix, and other free web-hosting services are great, but we don’t use them. 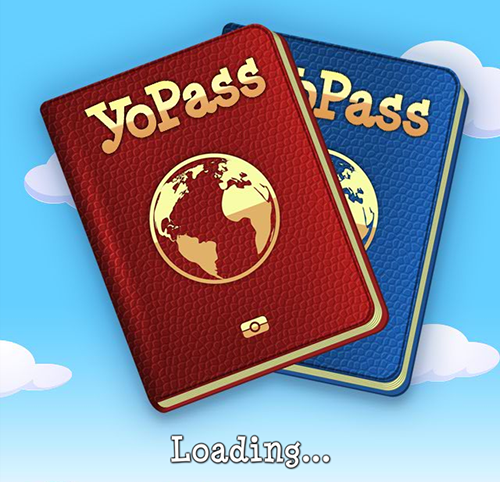 Check the URL to make sure the page uses a secure connection, and that it’s a site hosted by YoWorld or Big Viking Games. Are there spelling mistakes or grammatical errors? It might sound weird, but legitimate, official offers aren’t created overnight - we spend a lot of time spent constructing and polishing everything before it hits YoFans’ eyes. We aren’t perfect, but we wouldn’t release something rife with spelling errors and strange syntax. In the end, always remember the old adage: if it seems too good to be true, it probably is. Please take care with your YoWorld account! Your virtual possessions are valuable in the real world for others. Some people will stop at nothing to try and get you to give them up, but they can’t do it if you don’t let them. In the end, you’re responsible for what happens in your YoWorld account, so keep your information secret and stay safe! If anyone has any further questions or concerns, let us know in the comments. Last edited by BEAN (121485446) on Sun Oct 04, 2015 12:08 pm, edited 1 time in total. Once again I have a problem.My furniture was stollen at my Pxi home (from the )patio) not once but twice!!! Today I started to make the rounds and guess what my coins are down,way down! Again I am fustrated and dissapointed.My Portico was stolen in August 15 th and not a reply how they will fix or rienburse me. Totally have had it! Somebody please help me asap! Thanks Lynn Birli aka ( Lynny) PS. also cause I have a desktop I cannot get a yo pass..
Lynny (106878447) wrote: Once again I have a problem.My furniture was stollen at my Pxi home (from the )patio) not once but twice!!! You need to send in a ticket via the HELP tab above your game and let the team know what is going on..they can advise you what to do. Good luck! Please help me! I got a new phone a couple of weeks ago, and I totally forgot about YoPass. So now, of course, I cannot get in. I've tried to send my photo I.D. through the opening link, but it doesn't seem to be submitting it..I don't get any confirmation. When I try to go through the report/contact button on right of FB page, it says this webpage is unavailable. What can I do at this point? Halloween is my favorite season!!!!! I don't want to miss it. ok so I disabled my Yopass (as I was getting a new phone) after I did so, when the new update hit. 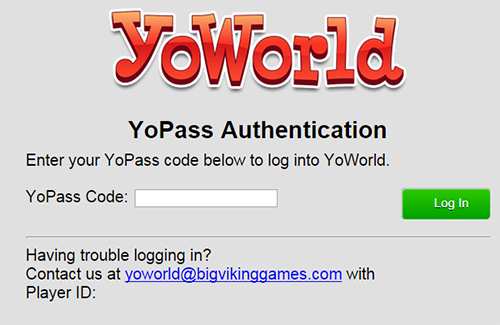 My yopass was reactivated and now I have no way of getting on my yoworld. Phishing occurs when someone sends you a link through email, Facebook, apartment messages, whiteboards, etc. The link looks legitimate, but will redirect you to a fake site that will steal your information. Popular phishing scams in YoWorld include fake facebook login pages, free YoCash or item offer pages, YoWorld support pages, and people pretending to be Vikings.